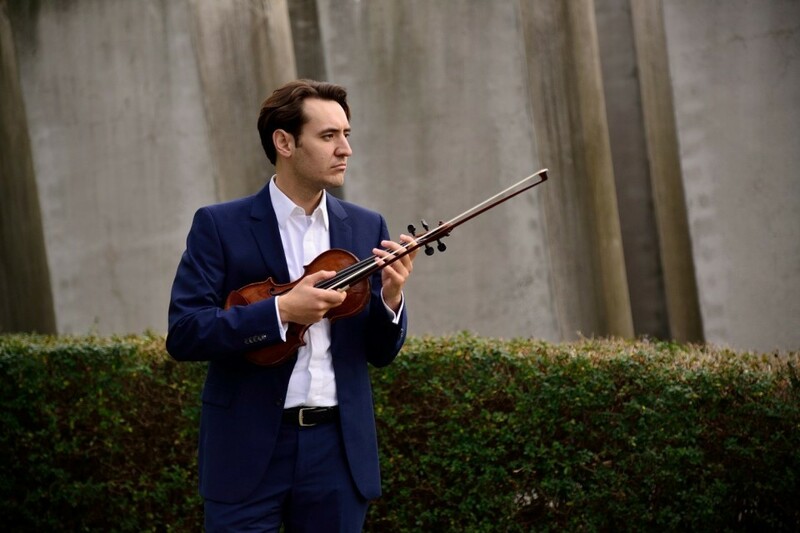 Born in Turkey in 1988, Önder Baloglu began his violin studies with Professor Ferhang Huseynov, continuing with Nana Jashvili, Pieter Daniel and Andreas Reiner at the Folkwang University of Arts in Essen, Germany. He has appeared as soloist with many orchestras and worked alongside Vadim Guzman, Gordan Nikolić, Ivry Gitlis and Patricia Kopatchinskaya. While still studying, he was asked to appear as concertmaster with the Duisburg Philharmonic Orchestra and the Deutsche Oper am Rhein. He has been the leader of the Bilkent Symphony Orchestra, based in Ankara, the Württemberg Chamber Orchestra Heilbronn, and his own Les Essences orchestra. Baloglu has appeared with his own chamber music ensembles Duo Bal-Kan, Quart.essence and Ensemble turquoise in different parts of Europe and Turkey. Since 2015, he has been Artistic Director of the chamber music festival he established at the Katakomben Theatre in Essen. He teaches at the Folkwang University of Arts and plays an Antonio Gragnani violin from 1779. Baloglu is in the Young Chamber Musicians programme.